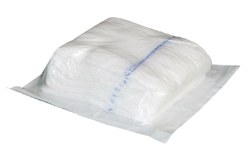 It is made from 100% pure cotton with highly absorbent. Multiple threads, sizes, plies, and colors are available. 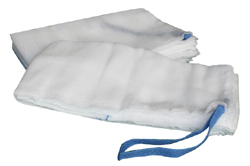 They can be with X-Ray or X-Tape Detectable, with or without loop, pre-washed or non pre-washed. Confirmable, Latex- free. 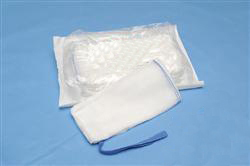 Sterile lap sponges with blue or black X-Ray are used for surgical. 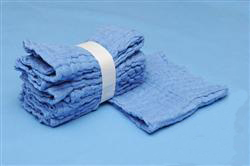 They are packed by auto package machine with automatic weighing. They are double blister pouches.